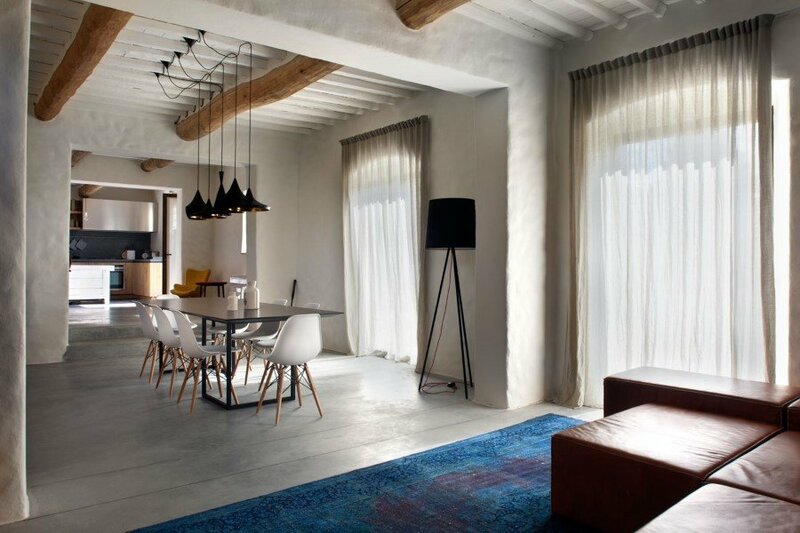 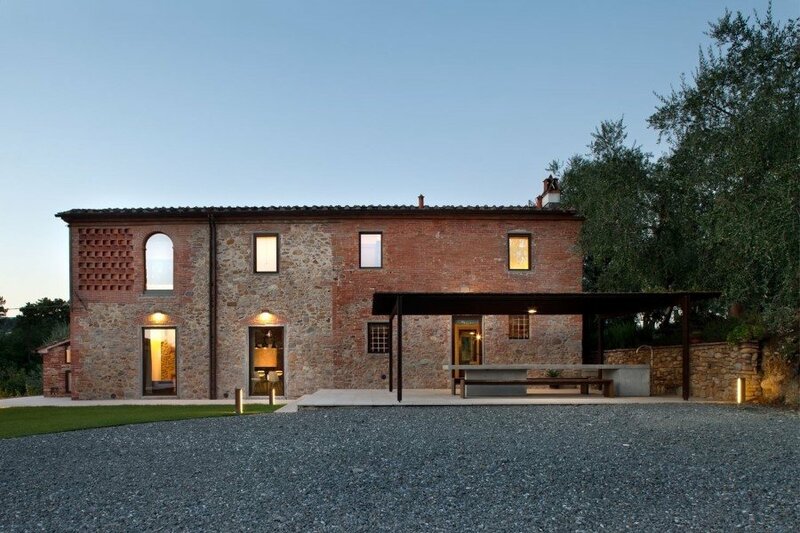 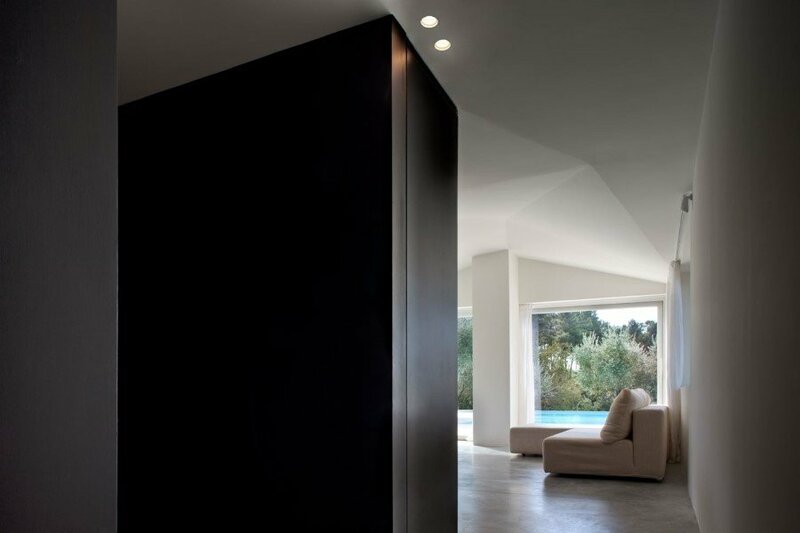 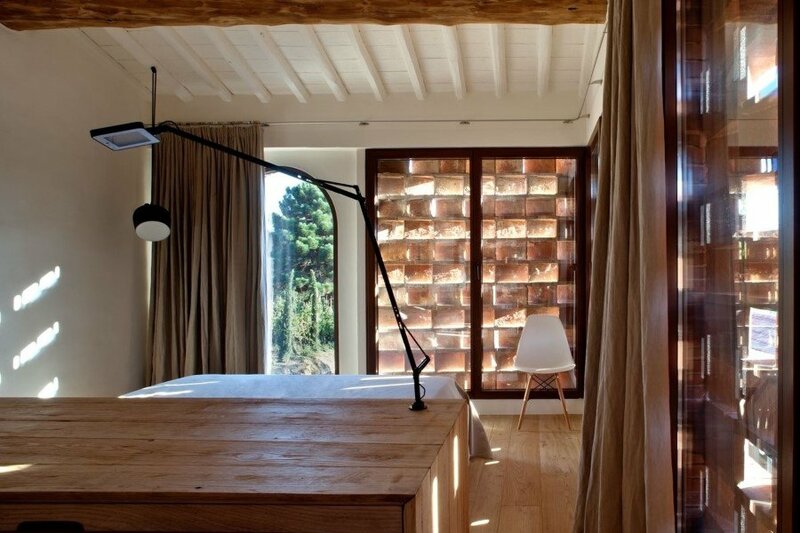 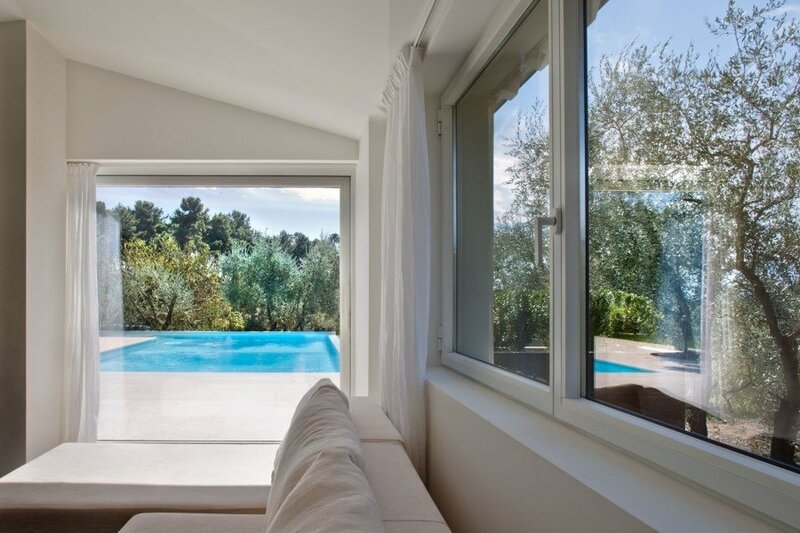 This old country house is located in Lucca, Italy, and was recently renovated by Mide Architects. 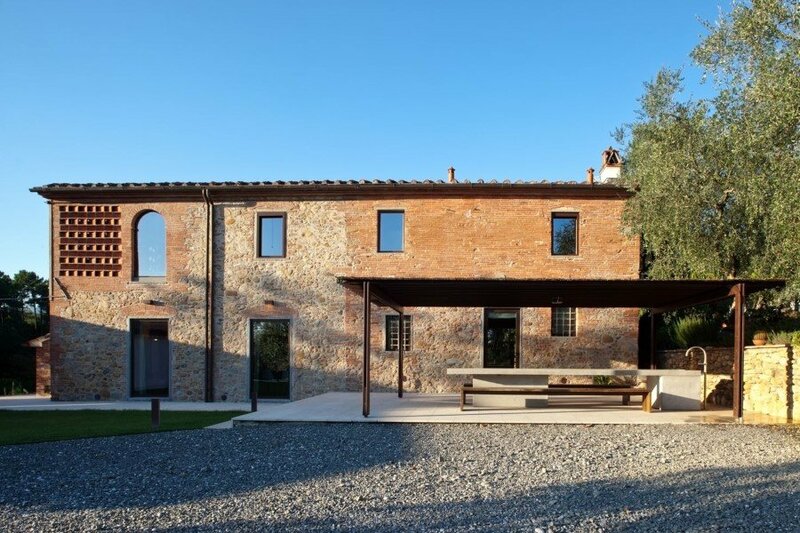 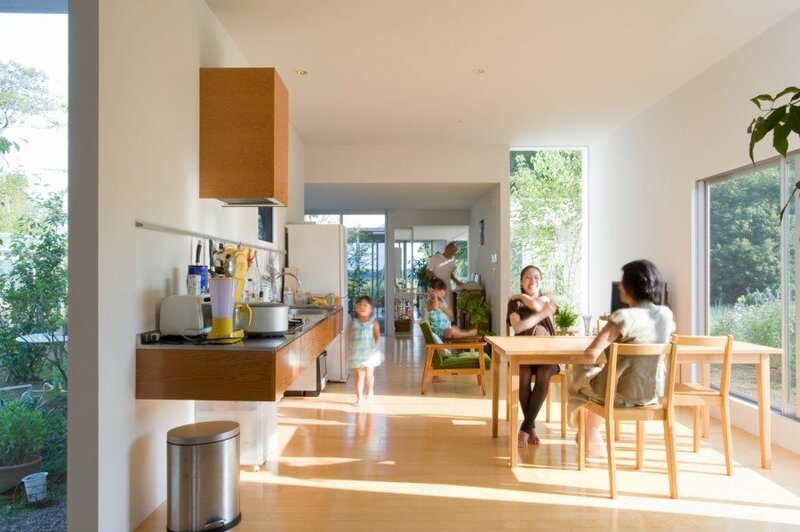 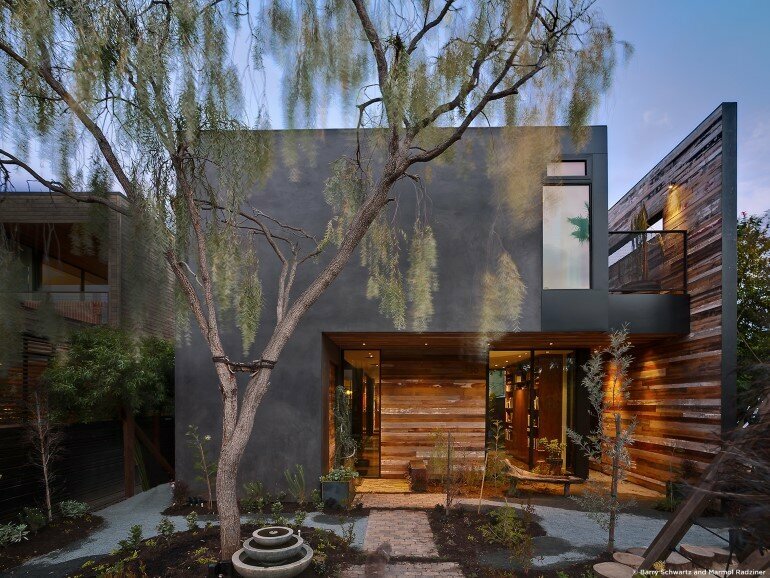 Description by Mide Architects: The project site involves an old country house, built in 1887 in the immediate neighborhood of Lucca and a most recent farmhand’s cottage. 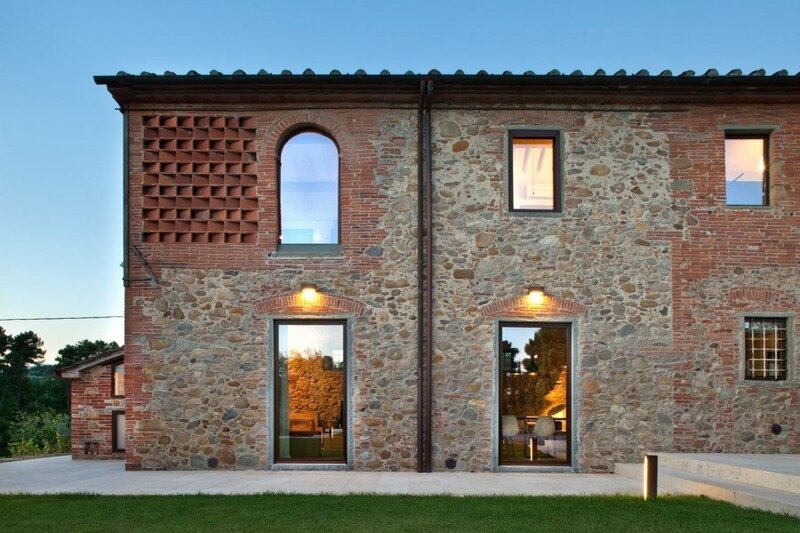 The buildings are integrated in the countryside of Lucca and maintain its typical characteristics. 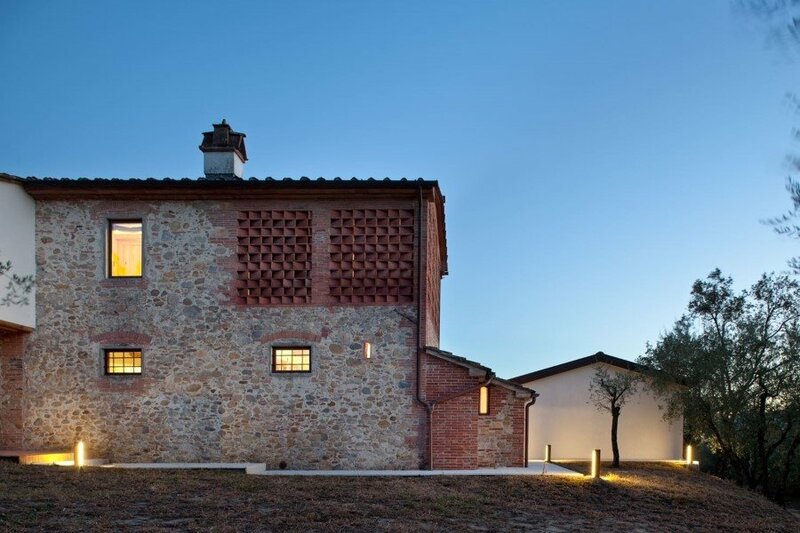 Specifically, the buildings are located in a hilly landscape, between gentle slopes, where oaks and chestnuts lick the property. 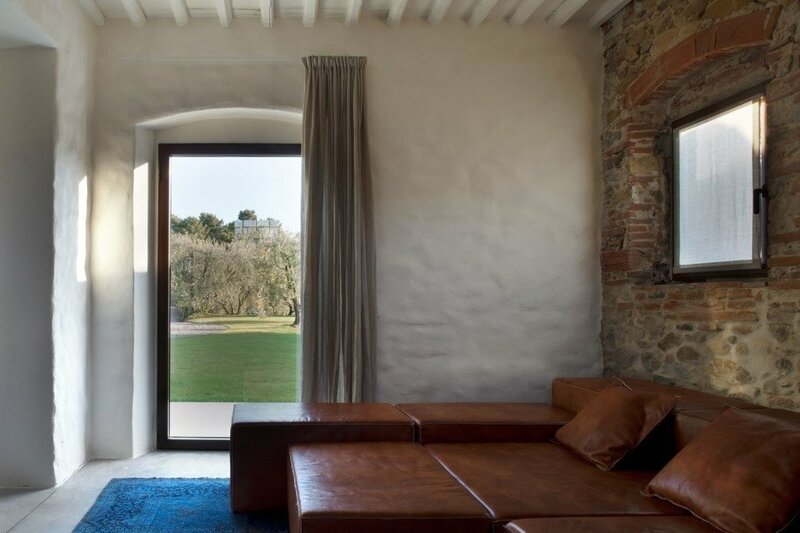 In this background, the renovation has been directed to both the maintenance and the enhancement of typical elements of the local architecture, such as exposed brick wall, stone of Matraia and chestnut wood. 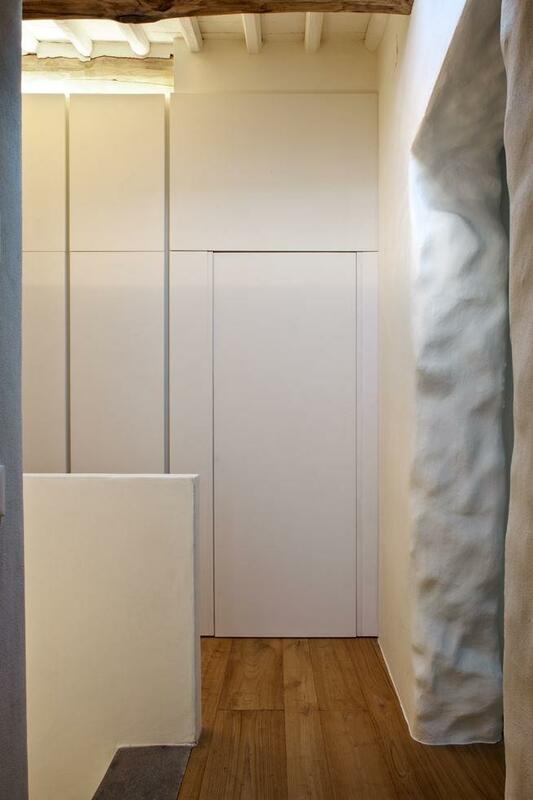 Pursuing this goal, and in full respect of the typical features, the components and materials used have been revised in a contemporary way, adopting the most appropriate construction techniques, in order to ensure the achievement of the best possible result. 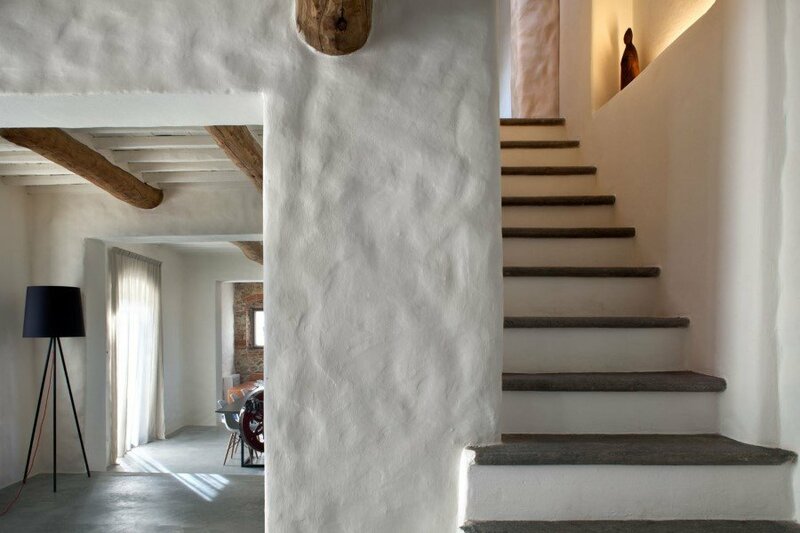 Inside the country house we sought to manually apply, using the traditional spatulas and sponges, natural lime-based plasters that highlight the irregular rocky surface of the walls. 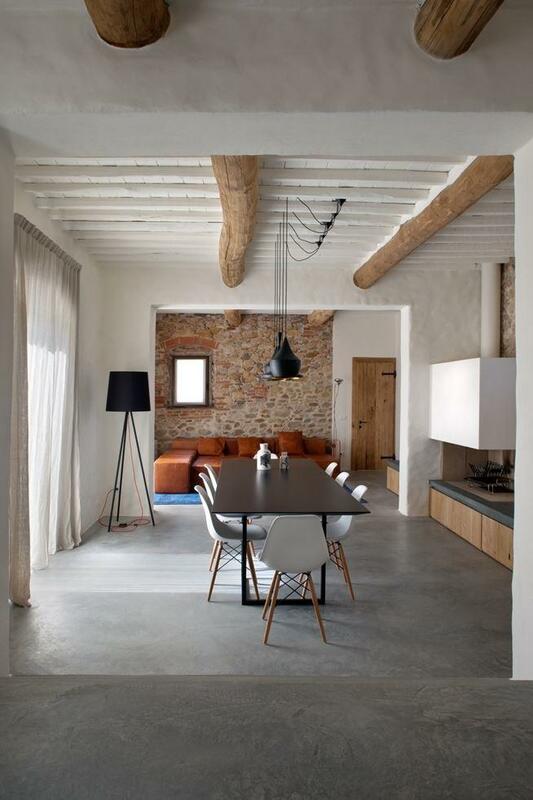 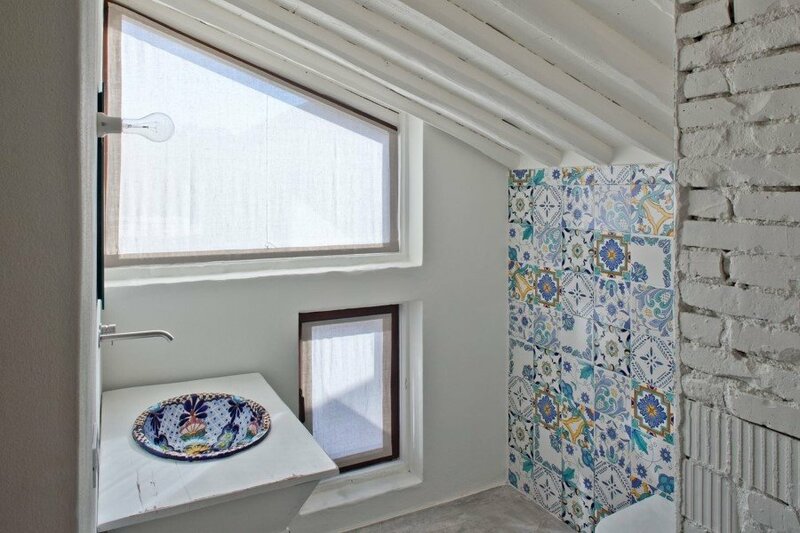 The recovery of beams and hollow tiles by sandblasting, is an explicit call to the traditional tuscan architecture, refreshed by the bleaching of the ceilings. 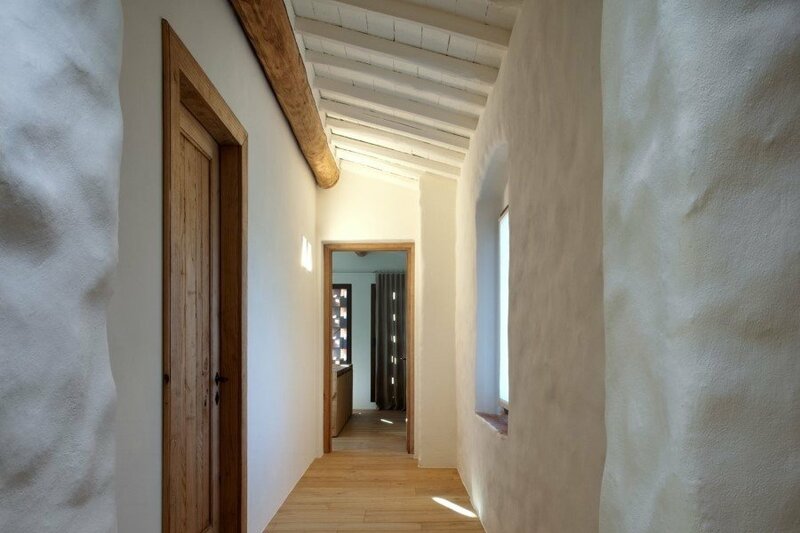 The exterior was deliberately kept unchanged in surface and holes[GS1] , in order to maintain its historicity without sacrificing the charm. 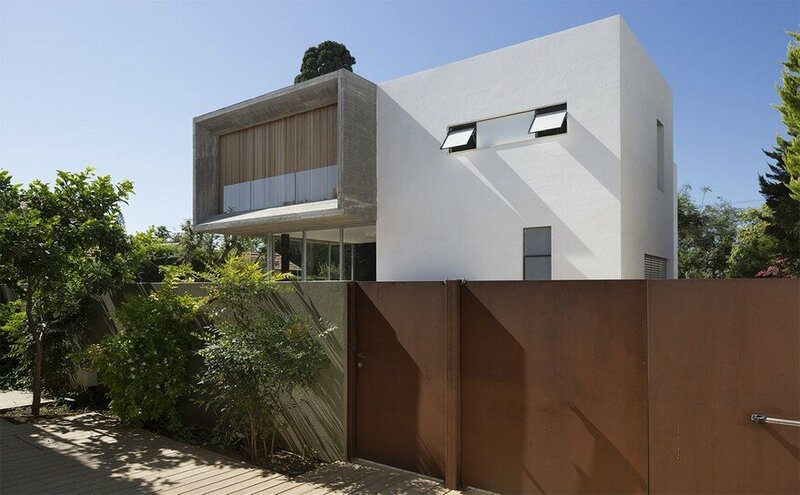 Therefore, we opted for basic external fixtures made of steel. 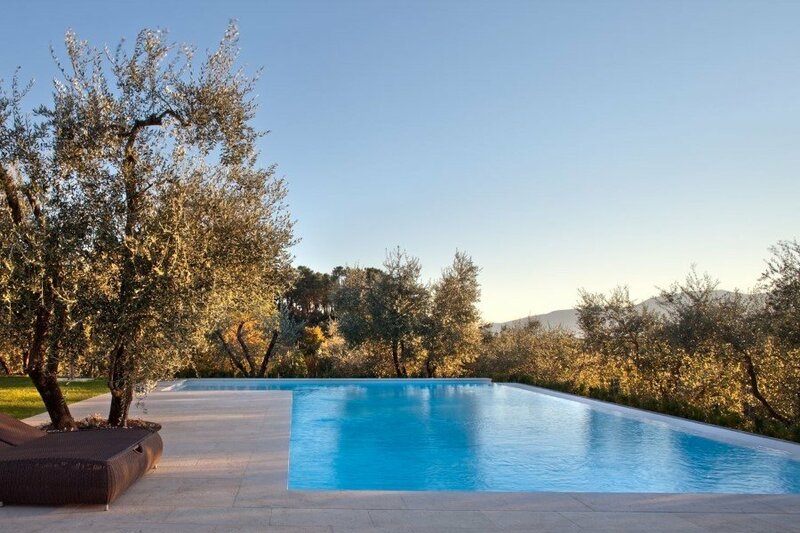 In the garden the large swimming pool is integrated with the surrounding landscape, respecting the vegetation and the secular olive trees, leaved unaltered. 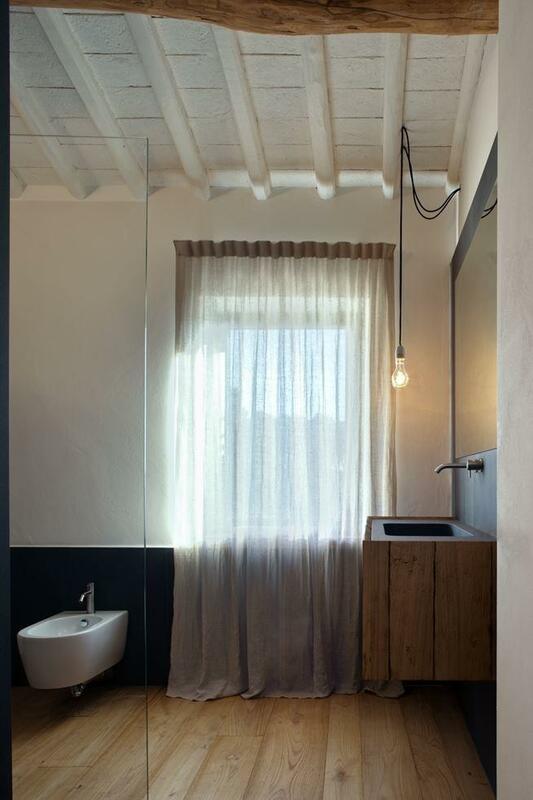 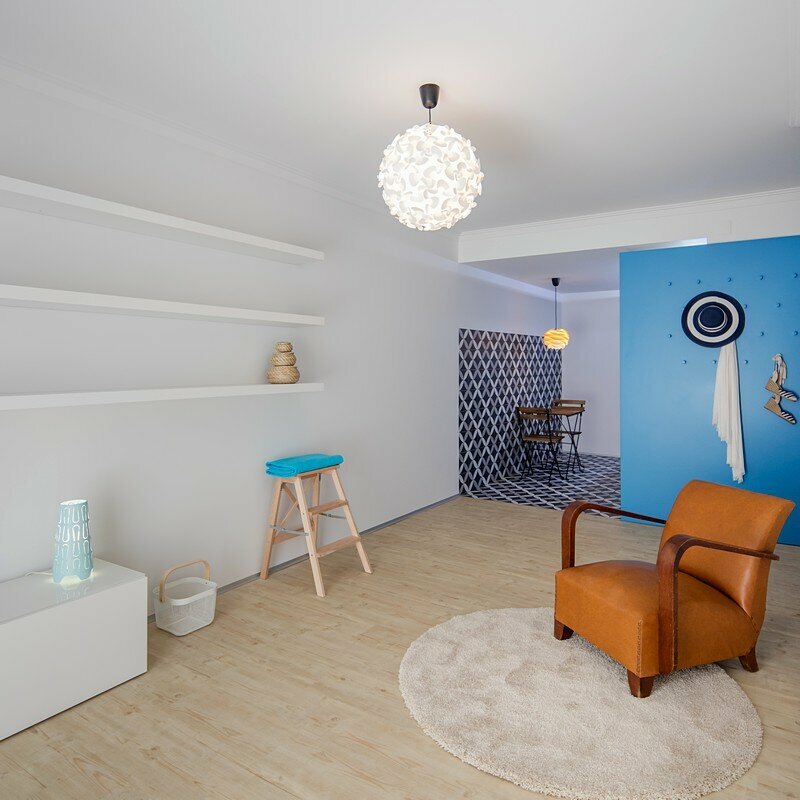 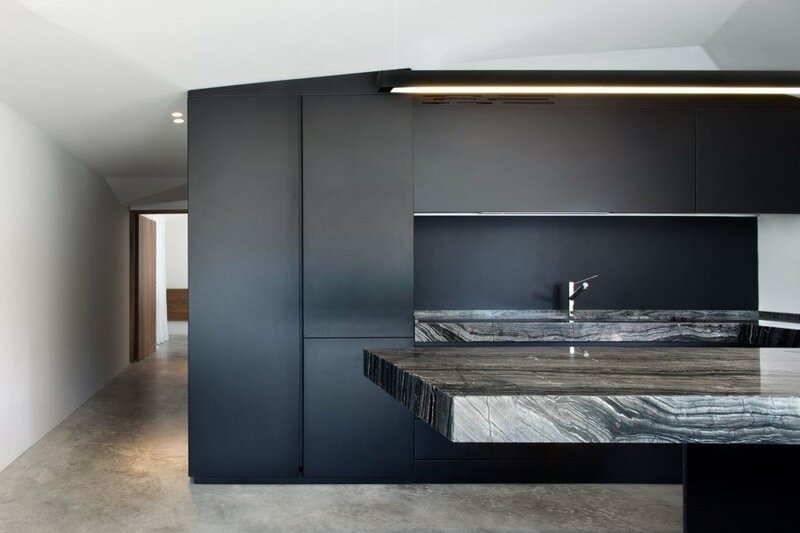 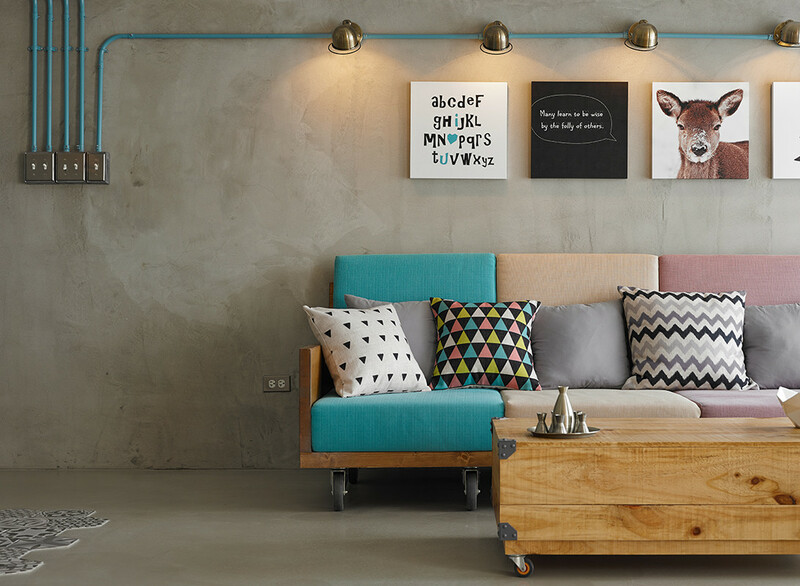 The adjacent cottage has been completely renovated inside, opting for contemporary materials and colors: the concrete floor and the black lavatory contribute to give a new identity to the building. 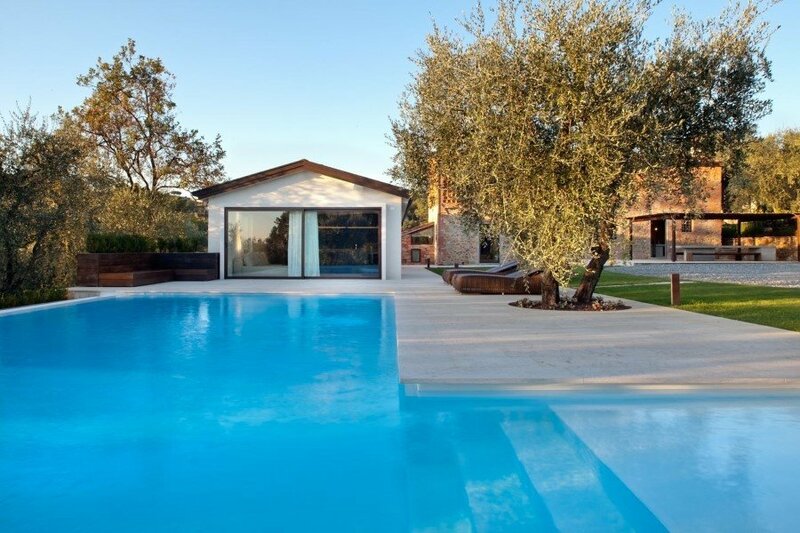 Finally, in the hypogeum you can find a spa area consisting of a large tub and a cedar wood sauna.